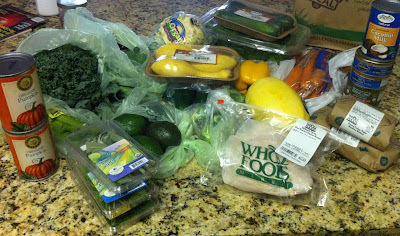 For an explanation of what the 21-Day Sugar Detox is and why I am doing it, refer to my Week One post. Now, week two: Tough and long. This was a very hard day for me. It started out with extreme nausea and went down hill from there with an increase in the symptoms I was attempting to alleviate and very low energy. Symptoms continued today with very low energy. I had to start taking over-the-counter medication and my bouts of hypoglycemia were through the roof. FIRST Craving: HUGE bowl of raw oats with dried fruit and almond milk. AH! Energy level a bit better though still a tough day. Tyrrells English Veg Chips (beetroot, parsnip &carrot)** These rock!!! Half smoked chicken salad (with pepitas, onions, peppers and guacamole) from a restaurant in Boulder. This day was when things starting going even more downhill. Energy-wise was extremely trying. It took everything I had in me to go to an evening event and then dinner. I was visiting my sister and she practically had to put me to bed I was so exhausted. When on Day 13, I had zero energy even after eating breakfast and going to go get my hair done took all of my strength (trust me, that smile you see took some gumption), I knew I had to re-evaluate. My bouts of hypoglycemia were even stronger even after eating and after going to visit my horse (sweet, sweet horse of mine, Baby :)), I almost fainted despite eating a snack right before going. I took a good hard look in the mirror (literally) and knew I had to stop. The only reason I wanted to keep going was to 'finish the program.' I knew in that moment that finishing would be a grave mistake as my symptoms had only increased and were exacerbated. In addition, I started getting more symptoms like brain-fog (a symptom that should be alleviated with the detox), anxiety and elevated heart rate. While looking in the mirror I could not deny that it looked I had lost more weight. I made a commitment to myself and others that if I lost more weight on the program then I would stop as my body right now cannot afford to lose weight. I got to the point where my morning walks were very difficult and all I wanted to do was sleep afterward; which is VERY unlike me. I am a genuine morning person. Those that follow my blog, know that about me. I believe that templates and programs MUST be customized to the individual and only used as a guide or reference. I have had this belief and chose to go against it in order to validate or invalidate a theory. It was time for me to take my own advice. Advise that I give people all the time. You must eat what makes you FEEL good (not taste, not look but FEEL). This is not a response to cravings. This is a response that comes AFTER you've eaten something. You must fuel your body. Finishing the remaining eight days of the sugar-detox could have proved to be very dangerous for me in my current situation. That being said, I do not have anything against the 21-Day Sugar Detox or Diane Sanfllippo. I think for those that are having some serious sugar cravings and want to shed some pounds, this may be a healthy program for them to try. However, I would advise anyone that wants to try this to get an OK by their medical physician first. 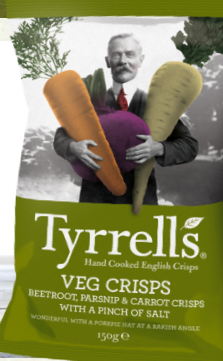 **Tyrrells English Veg Chips: Mixed root vegetables in variable proportions (beetroot, parsnip and carrot) 65%, sunflower oil, sea salt. I am proud that I did 13.9 days of the 21-Day Sugar Detox and I believe I made the right decision in putting a hard stop to it. I will let you know how this next week goes.